The entire team at the ibis Bordeaux Aéroport hotel wishes you a warm welcome! For business or to discover Bordeaux, visit the region's vineyards or easily reach the beaches of Cap Ferret: from the A10 and the ring road, it couldn't be easier to find us! 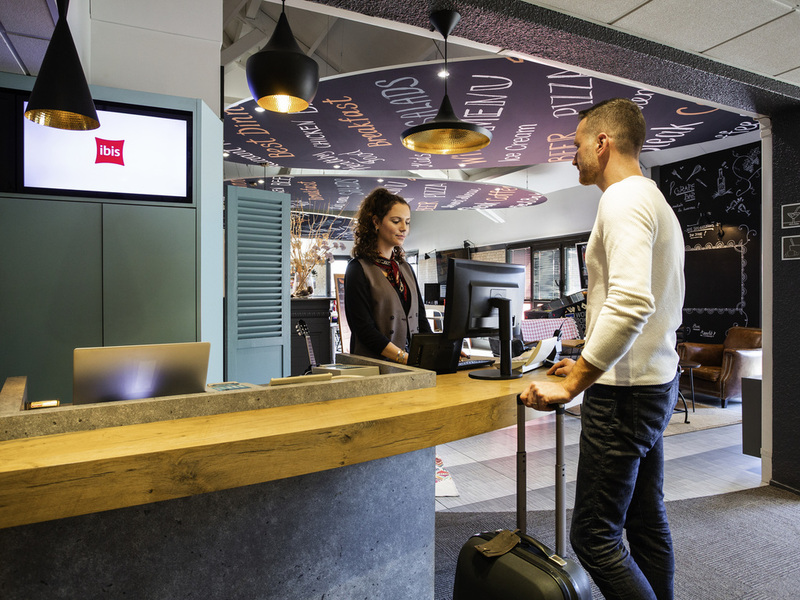 The ibis Bordeaux Aéroport is located 2 km from the Bordeaux-Mérignac Airport and about 20 minutes from the Bordeaux city center (direct access via bus no. 1). Close to the Bordeaux Ring Road, the ibis hotel offers 24 hour reception, air-conditioned and renovated rooms with Wi-Fi. Free parking and airport shuttle service. The Grape Bar is an inviting place for dinner every day and buffet breakfasts are available as early as 4:30 am. Right next to the airport, in a calm, wooded setting. Discover the Mérignac vineyards of Pique Caillou and Luchey Halde. 15 minutes from the center of Bordeaux by bus and tram (line A).